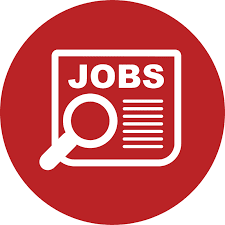 The CIRCLE Project seeks three experienced Zonal Developmental Evaluators for coordinating and implementing the DE activities in the respective Boresha Afya project zones. The primary responsibilities include implementing data collection and analysis activities per the DE design, providing continuous feedback to intended evaluation users to support timely decision making, and tracking learning and adaptation milestones in the project. Zonal Developmental Evaluator will be embedded with Boresha Afya partners in Lake/Western Zone (Mara). The specific location within Zone may change based on emerging evaluation priorities. Candidates’ flexibility regarding site for embedding is highly desired. Zonal Developmental Evaluators can expect up to 30-50% time for domestic travel, primarily within the respective zone, but also to include Dar es Salaam and other locations. • Under guidance of the Principal Investigator (PI), manage the implementation of the DE activities in the assigned zone and provide regular reporting to the PI. • Participate in the development, review, and refining of the Developmental Evaluation plan and theories of change. • Work closely with respective Boresha Afya zonal teams over the course of the DE to prioritize focus areas, formulate evaluation questions, and update evaluation plans. • Collaborate within the DE team to design data collection instruments, and data management systems and processes that are both zone-specific and cross-cutting with other zones. • Lead the implementation of zone-specific data collection, analysis, and reporting activities. • Participate in recruitment and oversight of additional data collection and analysis support staff, as needed. • Ensure the quality and timely completion of DE activities (including data collection, management, and analyses) and development of knowledge products from assigned zone. • Collaborate with PI and a Knowledge Management and Communications Specialist in drafting, packaging, and sharing DE knowledge products and deliverables including progress and dissemination reports. • Track implementation of DE recommendations and actions and assist in the development of a DE learning framework. • Cultivate and maintain strong relationships with Boresha Afya stakeholders including local government authorities, implementing partners and other stakeholders. • Participate in planning DE stakeholder meetings and workshops. • Help build capacity of Boresha Afya stakeholders around the use of evaluation findings and adaptive program management. • Contribute to a DE Community of Practice. • Bachelor’s degree in Sociology, Anthropology, or related Social Science discipline. • Master’s degree or higher in a Social Sciences discipline or in Public health is highly desirable. • Five to seven years’ experience in implementation research and/or monitoring & evaluation in the global health and development contexts. • 3-4 years of experience with participatory research and/or evaluation methods, including process evaluation and action planning. 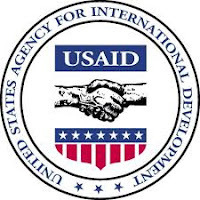 • 3-5 years of experience working with diverse health or development stakeholders, spanning research and evaluation, donors, program implementers, and government. • Excellent knowledge and technical skills in qualitative and mixed methods for data collection and analysis, including the ability to adapt different kinds of methods to local context. • Desire to learn and use new evaluation methods. • Proven experience with data analysis software, both qualitative (e.g., MAXQDA, NVivo, Atlas Ti) and quantitative (e.g., STATA, SPSS). • Experience using public health monitoring and surveillance databases such as DHIS2. • Understanding of and experience with data-driven storytelling, including creation of briefs, and infographics, blogs and other compelling knowledge products. • Experience collaborating on digital project and document management platforms. • Knowledge of public health priorities in Sub-Saharan Africa, notably maternal and child health, HIV, malaria, reproductive health, and family planning. • Familiarity with the Tanzanian public health landscape including but not limited to HIV, maternal and child health, family planning, malaria service delivery. • Familiarity with principles of complex systems science is a plus. • Excellent interpersonal communication skills, including ability to empathize and cultivate strong stakeholder relations, comport oneself diplomatically, and build stakeholder consensus. • Proven capacity to work at a quick pace, to manage multiple tasks and deadlines, and quickly synthesize different streams of evidence. • A self-starter willing to take ownership of tasks and provide recommendations to colleagues. • Ability to work collaboratively within a small inter-disciplinary team. • Tolerance for uncertainty and ambiguity in evaluation findings and ability to adapt quickly to changing priorities. • Proficiency with English is mandatory; additional proficiency with Swahili is desired. Interested and qualified applicants should submit by December 13, 2018 the following materials: (1) a one-page cover letter indicating interest and fit for the position; and (2) a résumé or CV, including 2-3 references. Please apply to this position online at www.socialsolutions.biz . Only shortlisted applicants will be contacted.